P4	P5 What are Natural Resource Charter precepts? Note: Data and models for this publication can be found here. 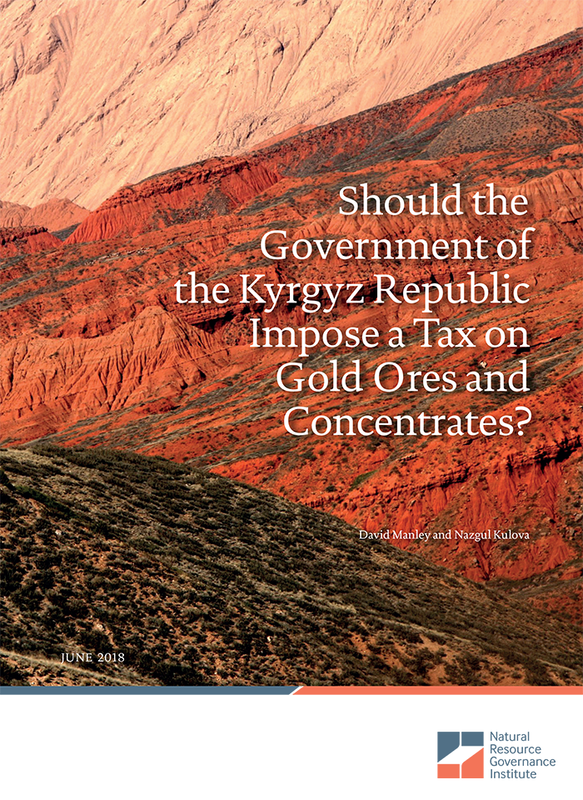 Government officials in the Kyrgyz Republic are considering levying a tax on the final production of gold ore and concentrate. They hope this will help add value to the country’s mineral production, which in turn might supply minerals to industry, create jobs and generate revenue. They also hope that locating processing within the country will prevent companies misreporting the value of their ore and concentrate exports to reduce their tax payments. Part of the potential benefit of a value addition policy is to ensure that the mining industry continues to produce enough concentrate to feed smelters, refineries and other downstream industry, enough revenue to support the government budget, continue to employ the thousands of workers, and along with all this limit the damage to the country’s environment. However, the mining industry in the Kyrgyz Republic is at a critical juncture. Most of the country’s mineral production is forecast to cease in 2026 unless there is new investment. New companies such as Jerooy could replace some of this production, but perhaps not all. This makes understanding the impact of a value addition policy important. If a policy substantially increases industry costs, it may deter investment and lower production, thus reducing the amount of concentrate fed to processing plants, and the many benefits the country currently enjoys. Manage the value added by the mining industry. Recognize that many mines already process and treat their production in the Kyrgyz Republic and consider how to take advantage this, including ensuring these activities comes under effective environmental regulation. Address potential misreporting. Ensure that the government can hire and work with third-party referees to effectively monitor the performance of foreign smelters, understand the true content of mineral exports, and understand the different technologies used depending on the ore type. Raise revenues and attract investment.Evaluate the mining tax regime to sustainably increase government revenue without significantly deterring investment. Следует ли правительству Кыргызской Республики вводить налог на золотосодержащие руды и концентраты?